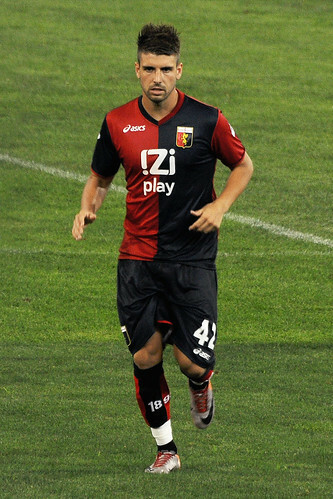 Being highly rated doesn’t always mean that a player could get anything easily especially if he doesn’t want to work hard on the field, that’s probably what is currently happening to Genoa new signing, Miguel Veloso. The player who was considered as one of the most talented players in Portugal until last season, hasn’t really flourish in his new club and he could already lose his place in the team next January if he doesn’t improve his game. The critics regarding Veloso’s recent form came from Genoa’s president himself, Enrico Preziosi, who slammed the Portuguese international as a lazy player that isn’t committed enough when playing for the club. Preziosi was so disappointed with the former Sporting Lisbon player’s showing so far especially on the Copa Italy game against Vicenza which took the Grifone until extra time before finally winning the game. Beside Veloso, another player that also received a stern warning from the president is Housseine Kharja who also hasn’t find the form that he used to have for Genoa last season. Both of this players could definitely face a life outside of Genoa on the winter should they still fail to improve their showing before the transfer window re-opens next winter. Preziosi’s thread could pretty much be a strong warning for under performing Genoa players especially Veloso, who was also one of the new signing that earlier being tipped off as a potential new star in Serie A. Unfortunately, until the 13th week of the league, the Portuguese international hasn’t managed to really showcase the talent that supposedly attracted several top clubs in the past such as the likes of Ac Milan and Juventus. However, the season is still very long and there will be plenty of chances for Veloso to showcase the quality that he possessed. Although considering the threat of his club’s president, it would be better for the Portuguese to improve his quality just before the January transfer window comes. The president’s disappointment towards some players is actually understandable considering that his club still stuck in mid table although Preziosi has splash out plenty of cash this summer.